If you have a dull, dry and rough skin, chemical exfoilants are what you need to get a beautiful skin. These will break down the bonds present within the skin that prevent the fresh layer of cells from reaching the surface, thereby making super dry skin look youthful. If you have a super oily skin that is extremely prone to acne and pimples, you should go for mechanical exfoliants. These are basically exfoliating brushes, facial scrubs, creamy exfoliating cleansers, etc. that are easily available in the market and works great on oily, acne-prone skin without affecting it severely. If you have a sensitive skin that often gets affected by external agents, you should skip commercial skin exfoliants and give homemade scrubs a try. Being made from natural ingredients, these will be much safer for your skin. There are tons of skin exfoliants available in the market. Most of them are loaded with chemical compounds, while some include natural scrubbing components. However, you must check the list of ingredients during the purchase in order to make sure that the exfoliant will not irritate your skin. Using huge sharp particles or shells for scrubbing should be totally avoided. Rather, choose something that comprises gentle exfoliating particles. It is important that you follow the right procedure while using an exfoliant on your skin. According to experts, it should be rubbed in small circular motion around 25 to 30 seconds and you should be extremely gentle during the entire method. After a couple of minutes, rinse your skin with cold or lukewarm water. Never ever use hot water to clean exfoliated skin as it may lead to inflammation. No matter whether you have a dry or oily skin or whether you are inclined to chemical exfoliants or the mechanical ones, you should resist yourself from using it daily. 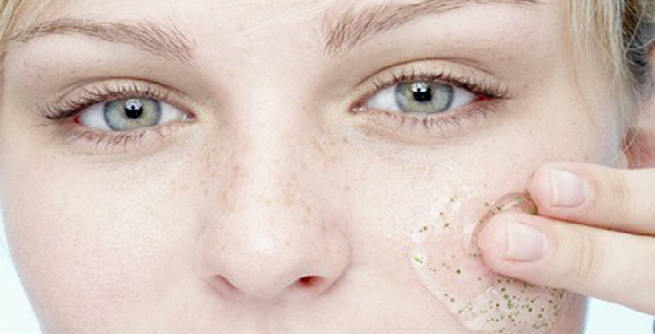 Exfoliating our skin is necessary, but overdoing it can be dangerous. This practice will irritate the skin and cause serious damages. Hence, limit the usage of your skin exfoliant to only once or twice a week. The general rule implies that oily skin and dry skin should be exfoliated twice and once every week respectively. If you find it easier to exfoliate your skin with a brush rather than scrubbing it with your fingers, you must invest in separate brushes that are exclusively designed for the face and the remaining part of the body. Our facial skin is much more delicate and sensitive than other sections and hence, using the same exfoliating brush for both will not be fruitful at all. However, if you experience any abnormal reaction or side effect while using skin exfoliants, get in touch with your dermatologist immediately.